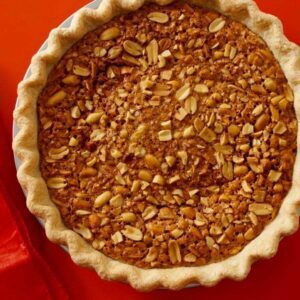 Gooey Peanut Pie with a salty sweet brown sugar filling and crunchy little nuts will be the crowd’s new favorite dessert. Pie comes in oh so many flavors. And I like so many of them! I get in apple pie moods, or cream pie moods (Mmm chocolate! ), or a good pecan pie with coconut, and even raspberry pie a la mode is a summertime staple. 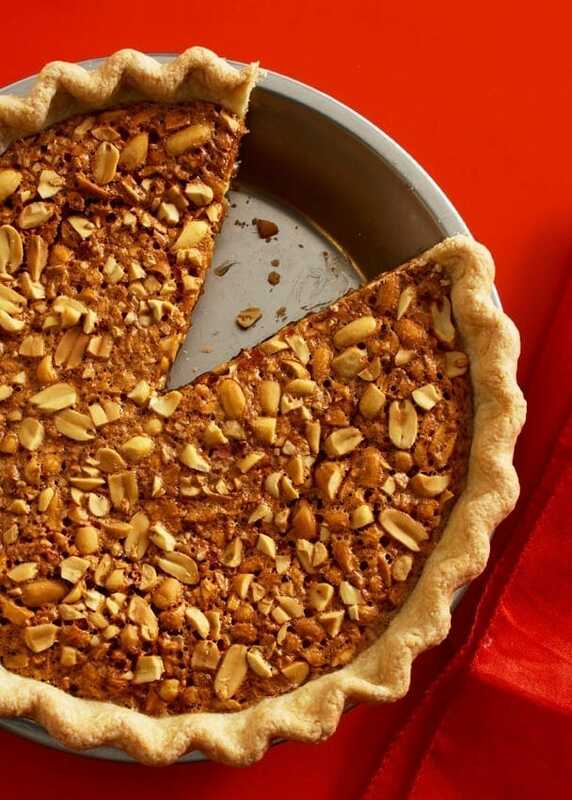 This gooey peanut pie is a take on your classic pecan pie. It has the sweet, sticky filling but is loaded with awesome, crunchy peanuts. 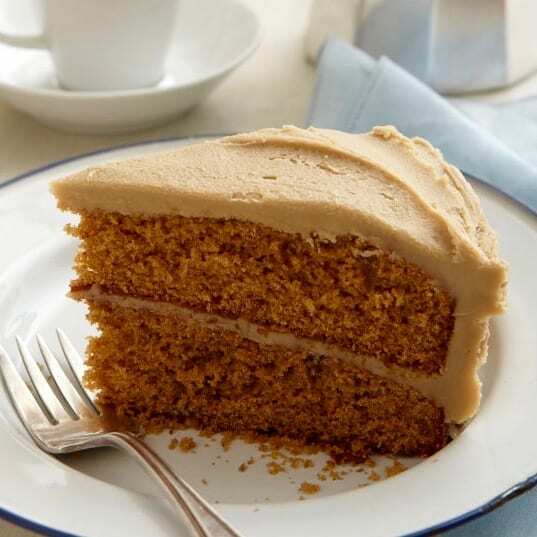 I even add some smooth and silky peanut butter in the filling to boost that nutty flavor. The peanuts I used were salted, so the balance of flavor is just perfect. A little salty with the sticky sweet. Top this gooey peanut pie with crumbled bacon for an awesome and trendy combination! I used my Perfect Pie Crust for this pie. 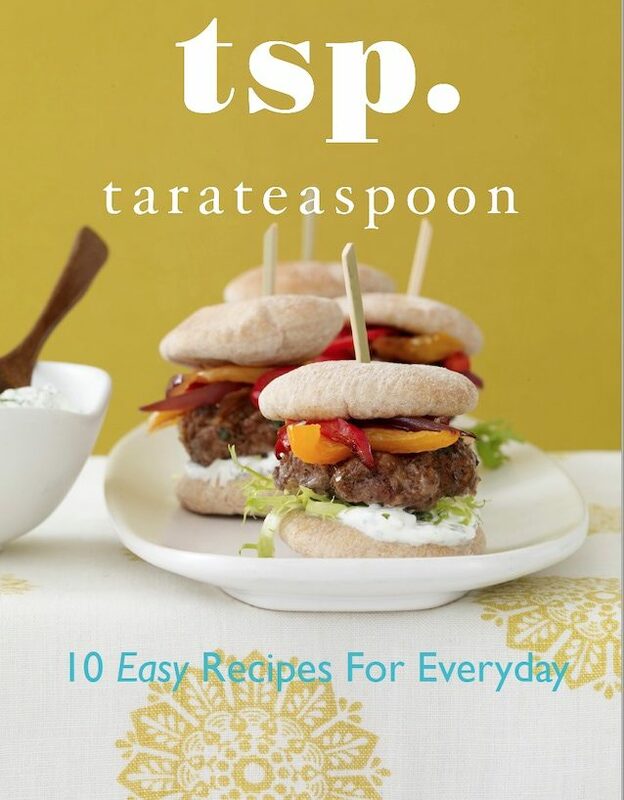 It’s easy to make and I always have a few stashed in my freezer. You can also simplify and use a pre-made crust if that’s easier for you. But I really like the flavor of a homemade crust. 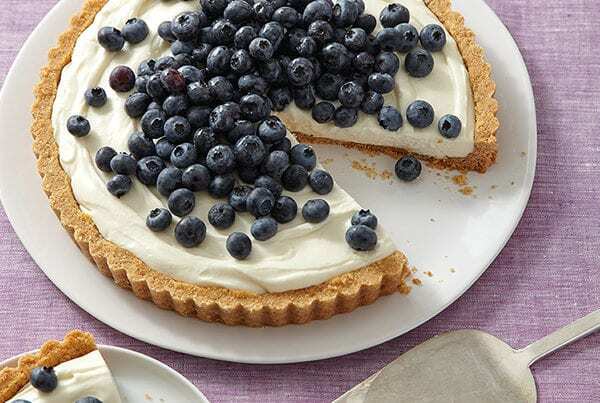 There’s no fancy technique needed to make this pie. It’s really a one-bowl kind of filling. 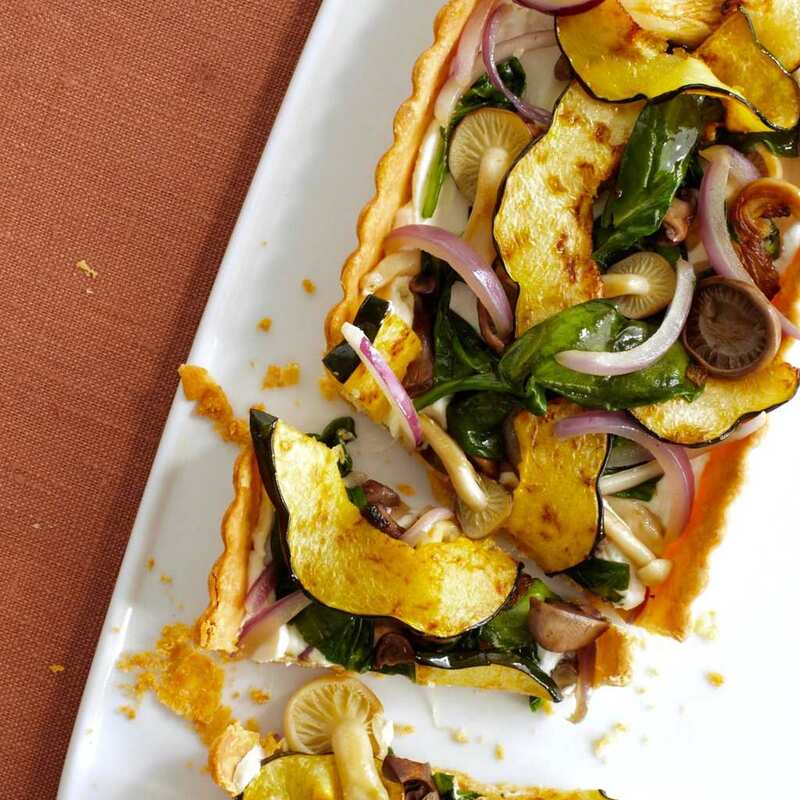 The filling gets poured into the crust and baked with no extra steps. Top each slice with some sweetened whipped cream and I like to add some salty crisp bacon bits! 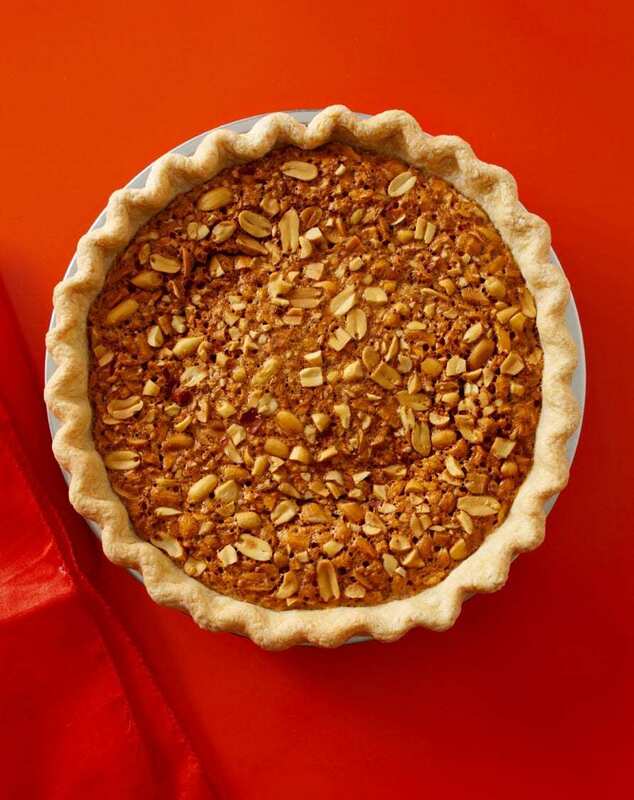 This gooey peanut pie is a take on your classic pecan pie. It has the sweet, sticky filling but is loaded with awesome, crunchy peanuts. 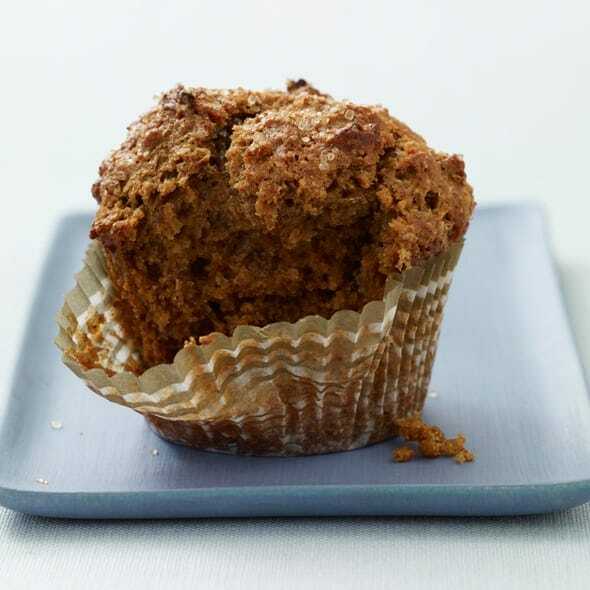 I even add some smooth and silky peanut butter in the filling to boost that nutty flavor. Line 9-inch pie pan with rolled-out crust; trim and flute edge. Freeze until ready to fill, or at least 20 min. Heat oven to 325°F. Coarsely chop 1 cup peanuts. Whisk together eggs, brown sugar, corn syrup, salt, vanilla and peanut butter. Stir in chopped peanuts and pour mixture into chilled crust. Sprinkle remaining ¼ cup whole peanuts on top. Bake until filling is just set and crust is golden, about 50 min. Tent pie with foil after 40 min so the top doesn't overcook. Cool completely. Top with bacon or whipped cream. 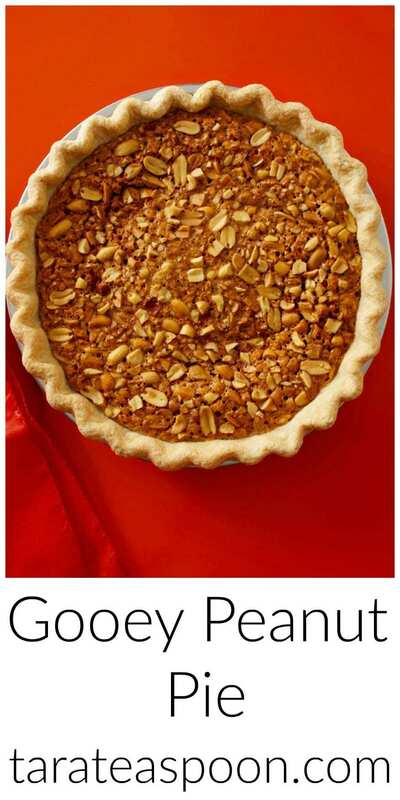 Trust me: Topping the pie with crumbled bacon adds an appealing saltiness that sets off the sweet flavors. Make more pies! 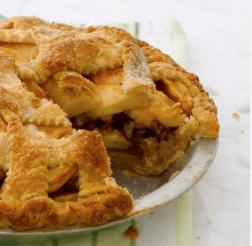 These pies are good for Thanksgiving or anytime of year! 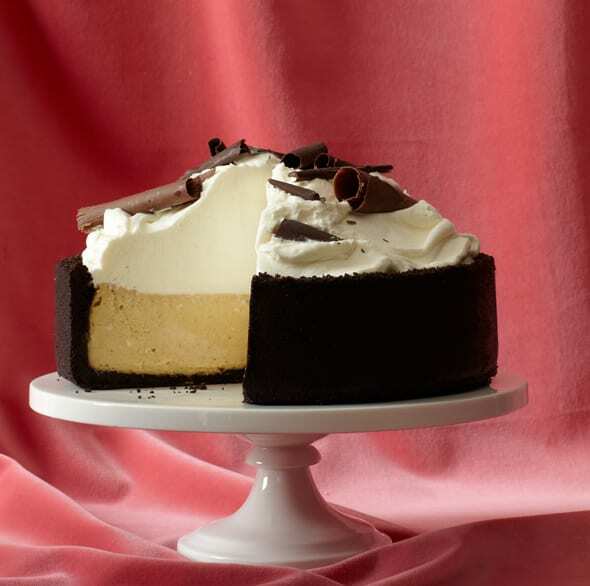 Chocolate Covered Pretzel Pie tastes just like your favorite sweet snack. 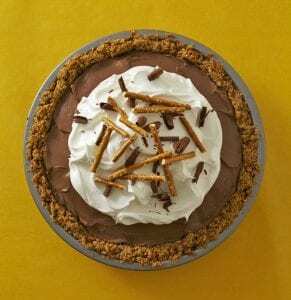 Creamy chocolate custard and a salty sweet pretzel crust takes it over the top. 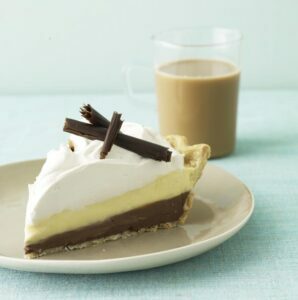 Black Bottom Cream Pie is the perfect combination of chocolate and vanilla custard. 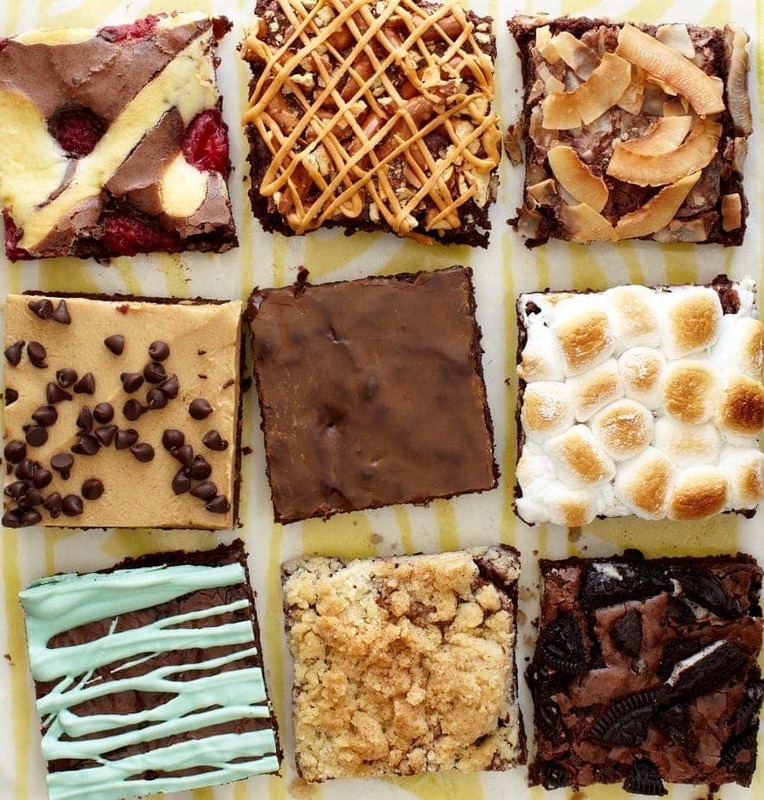 If you can’t decide which pie to make, make this two-in-one! 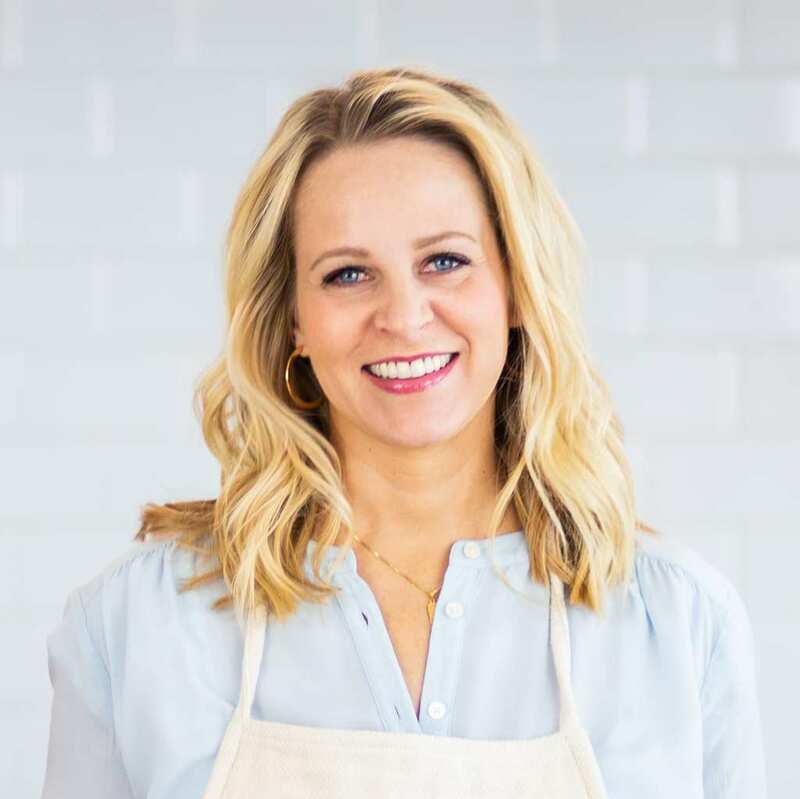 Check Out More Of My Other Pie Recipes! 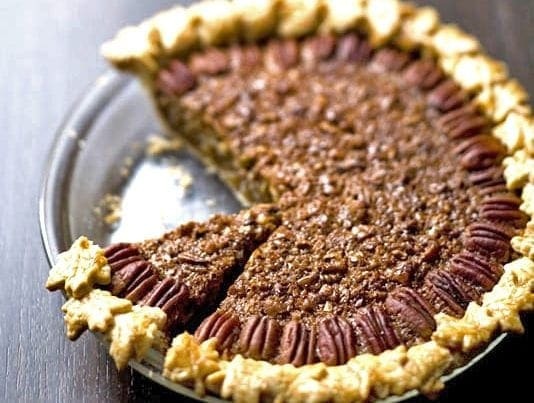 Pecan pie is a fave. Must try this one!